NHL hockey legend Guy Lafleur added his special spark to an event sponsored by Call2Recycle, a group devoted to collecting and recycling of batteries and cellphones. These items only belong in a depot authorized to handle hazardous waste. In the photo, above, hockey maestro Lafleur is standing with Ontario legislator, Donna Cansfield, who was provincial energy minister at the time. 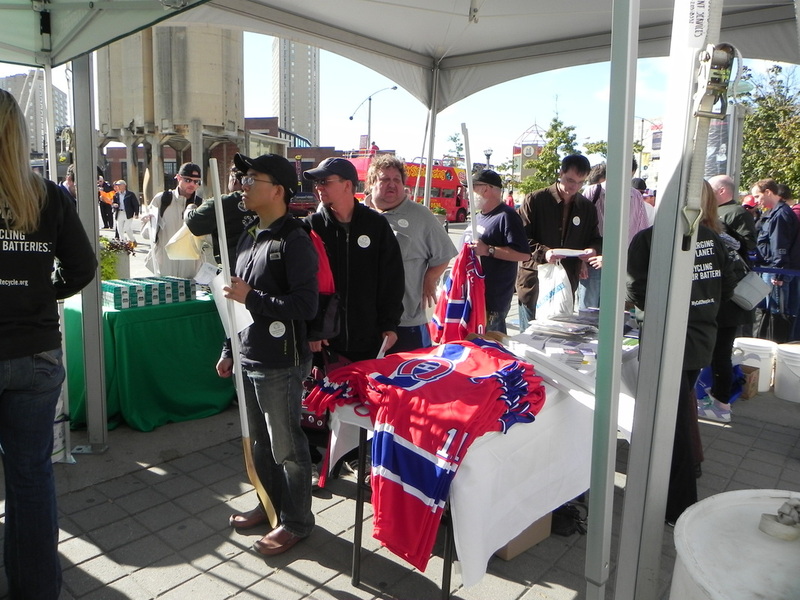 Fans lined up for hours with their bags of used batteries and met their hero. Sponsoring organization Call2Recycle recycled over 3.45 million kilograms of rechargeable batteries in 2011. Check out Call2Recycle and support the wonderful website about its important program. You can find a location near you to receive spent rechargeable batteries and old cellphones just by entering your postal code using the locator feature on the website. Schools and communities can perform a vital service for the environment running or supporting collection drives to ensure that these hazardous products are recycled and not discarded. Since 1996, Call2Recycle has diverted 30 million kilograms of rechargeable batteries from the solid waste stream and established a network of 30,000 public collection sites. 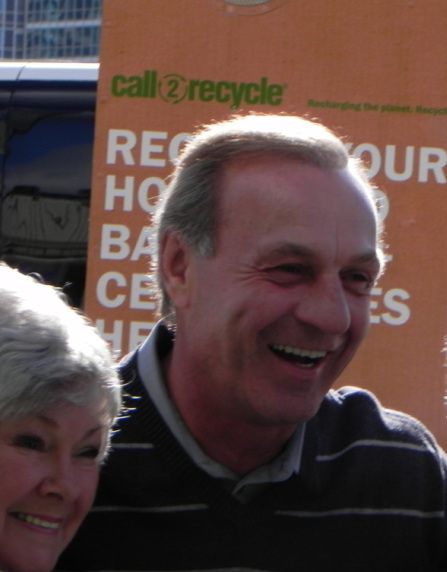 Guy Lafleur wants you to "Call2Recycle"